The Sennheiser MOMENTUM Wireless adds Bluetooth connectivity to a great pair of headphones and gets even better in the process. These are some of the best wireless noise canceling headphones we've seen, period. 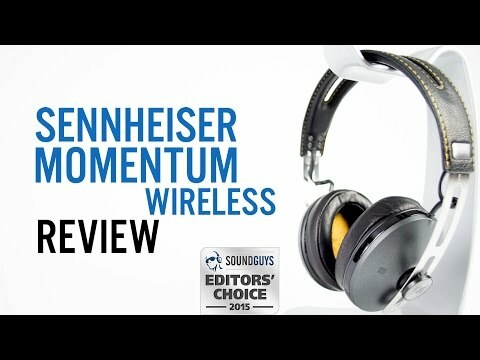 Sennheiser’s MOMENTUM headphones are held in high regard among both audiophiles and normal folk alike, so the only thing surprising about a wireless version is how long it’s taken for them to appear. Initially announced at this year’s CES, the Sennheiser MOMENTUM Wireless had us excited as soon as we were made aware of their existence. 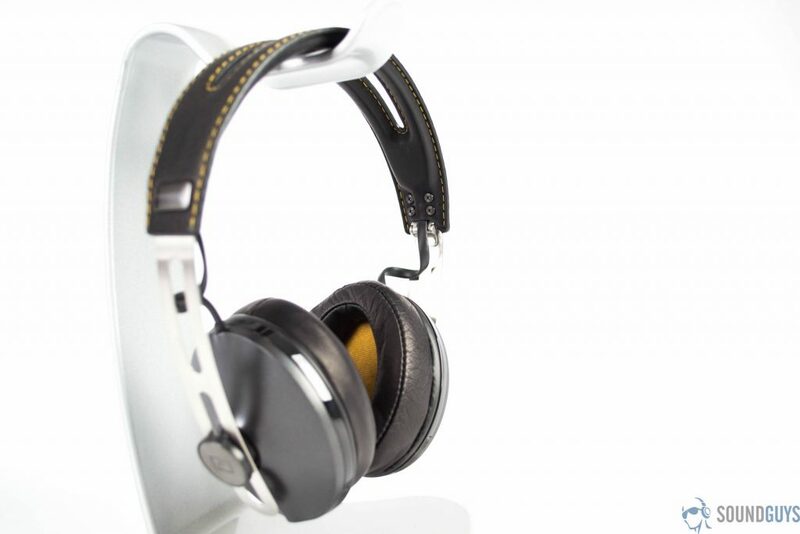 Active noise cancellation is a commonplace term these days, but it’s far from easy to do. Throw in Bluetooth connectivity and it’s generally going to be fairly pricey. Indeed, these headphones retail for $499 – that’s $100 more than the Momentum 2.0. Opening up the box you’ll find the semi-hardshell case and the manual underneath. Everything else is packed inside the case. The headphones themselves are inside a cloth bag, presumable for extra protecting, while the USB cable, 3.5 mm audio cable and inflight adapter are all tucked into a mesh pocket inside the case. The Sennheiser MOMENTUM Wireless are available in two colors – black and ivory – though at the time of this writing only the black model seems to actually be for sale on Sennheiser’s website. Both models look great, with the ivory having a slightly more modern look and the the black sporting the more classic pro look. The combination of exposed metal and stitched leather in the headband and earcups makes for an elegant look that should look good on everyone. The materials should have been a hint, but the build feels very solid. That might lead you to assume that this is a heavy pair of headphones, but they actually feel quite light, whether you’re holding them or wearing them. The headphones fold for portability, and the carrying case that is included is very high quality. Often an afterthought in other headphones, the case is nice enough that I could see it being sold as a third-party case, though I suspect that Sennheiser would prefer to keep it exclusive to their headphones. Simplicity seems to be a primary focus for the Sennheiser MOMENTUM Wireless, and that’s clear from the moment you turn them on. There is no dedicated Bluetooth button here, just turn the headphones on and they enter pairing mode. Then either pair from your device’s Bluetooth menu or tap your NFC-enable device on the NFC icon. If you’d rather connect the old fashioned way, a 3.5 mm cable is included, and these headphones can even be used in passive mode – that is, with the power off. Obviously you won’t get active noise cancellation, and the frequency range is somewhat diminished, but it’s nice to know that, unlike many Bluetooth headphones, these will keep you in music even after the battery runs out. Unlike the last pair of headphones we looked at, the controls are minimal in keeping with the general minimalist aesthetic of the Sennheiser MOMENTUM Wireless. There is a power / multifunction button, and the + / – slider for controlling volume and that’s it. It isn’t clear which scientists have been pulled off of major world problems in order to improve battery life in Bluetooth headphones, but we’re glad for the decision nonetheless. Sennheiser claims 22 hours of play time for the Momentum Wireless, and that’s including ANC. We found those claims to be true during testing as well, measuring just over 21.5 hours. Charge time is claimed as 3 hours and using a standard multiport USB charger, it took just a hair over that time. As Sennheiser doesn’t include a wall charger, the charge time will vary depending on the charger you have on hand. The box that contains the Momentum Wireless boasts of the headphones’ NoiseGard technology, which uses 4 microphones for its active noise cancellation. Whatever it is, it works well, as noise cancellation was very effective. Unlike some other headphones which would “lose track” of the noise they were supposed to cancel as I moved around, these kept the noise out steadfastly. The lows here reach very deep, with powerful sub bass that you can truly feel. While the bass is well represented, it never sounds overly boomy or steps out of its place to walk all over other frequencies, and even on songs with fast moving bass notes, the low end never tended towards muddy. The mids sound somewhat forward, though the 4 kHz bark that is present in some mid-forward headphones is thankfully not present here. Vocals come through loud and clear and electric guitars get all the bite and snarl that they deserve. The highs provide nice detail without harshness. Tambourine that is all but silent on less detailed headphones came through clearly here, and there was plenty of room around cymbals. The sound of fingertips sliding on strings is preserved without becoming cringe-worthy. After testing so many, I’ve come not to expect much in terms of soundstage in wireless headphones, but here it is very nice, whether you’re plugged in or not. Simply put, these headphones are just a joy to listen to in every way. Looking at the headphones that the Sennheiser MOMENTUM Wireless will generally be compared to – the Parrot Zik 2.0, the Plantronics that we reviewed last week – they’re the most expensive option, but if price is your main focus, you probably weren’t seriously considering these anyway. Sure, they’re pricier, but you do get your money’s worth here, and the sound quality is superior, if not drastically so, to the two aforementioned pairs of headphones. The Sennheisers offer a more balanced approach to sound, so if accuracy is your thing, these are the go to pair of wireless cans for you.